Whatever Happened To The Classical Christmas Album? : Deceptive Cadence The flow of good classical Christmas albums seems to have slowed to a trickle. And that's got one holiday listener longing for holiday albums from years past, from Jessye Norman's Christmastide, Duke Ellington's Nutcracker Suite and carols led by Robert Shaw. Whatever Happened To The Classical Christmas Album? 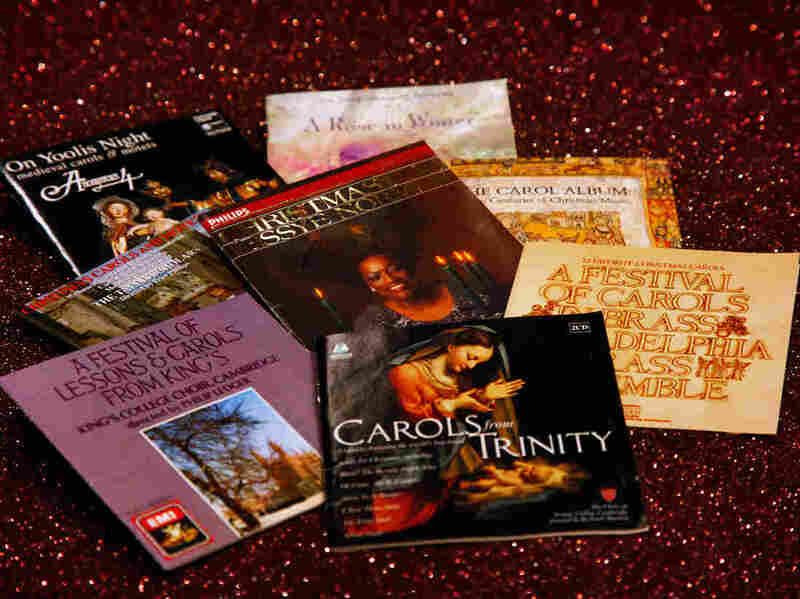 A sampling of one listener's cherished classical Christmas albums from a few years back. Is it just me, or does it seem like Santa is delivering far fewer classical Christmas albums these days? Decades ago, many of the top opera divas — from Renata Tebaldi to Joan Sutherland — released Christmas records. Then there were choral conductors like Robert Shaw and prominent British choirs like the one at Westminster Abbey. The flow hasn't stopped; it's merely slowed to a trickle. In an age when fewer classical albums are selling, and fewer artists are signed to big labels, perhaps the notion of releasing a Christmas record is more trouble than it's worth. Joseph Oerke, with Deutsche Grammophon and Decca Classics in the U.S., reminded me, though, that a few big opera stars, like Bryn Terfel, are still cutting Christmas discs. And although Christmas albums, he said, "are predominantly focused on the U.S. market with generally less traction in other countries," he assured me that we haven't seen the end of them. Still, at a time of year when nostalgia is not only condoned but encouraged (with cookies and eggnog on the side), I find myself longing for my old classical Christmas favorites. Here are a few, thanks to the interwebs. And ... if you've run across a great classical Christmas release we missed this year, tell us all about it in the comments section. Jessye Norman's voice has the perfect combination of golden warmth and awesome radiance, lending this sophisticated arrangement (which includes members of the New York Choral Society and American Boychoir) a regal air. Still, you can't help singing along. Veteran choral conductor Robert DeCormier polishes the music perfectly. Released back in 1993, On Yoolis Night was a follow-up to Anonymous 4's debut smash hit (at least in the ears of choral and early music mavens) An English Ladymass. The voices are pure rays of white light shining brightly in a collection of medieval carols and motets that celebrate Christmas themes. How is it that Minnesota turns out so many great choristers? The Dale Warland Singers never made it as big as some other choral groups, but for more than three decades (they disbanded in 2004) they were tops in the eyes of many fellow singers far and wide. Warland, the group's director, had superb taste in music, made compelling arrangements himself and inspired a gorgeous blend and unity in his choir. There is no possible way for me to tire of Duke Ellington's ingenious arrangement of the Tchaikovsky classic. Listen closely and you can tell that Ellington must have known his modernist composers well. The odd touches of chromatic color and clever use of percussion suggest he might have been a fan of Schoenberg. And you just can't resist it when it swings. Robert Shaw was a titan among choral conductors. Nearly every choir he founded (including the Atlanta Symphony Orchestra Chorus) communicated music profoundly. The Robert Shaw Chamber Singers, heard here, was an offshoot of the ASO Chamber Chorus. They sing the words in a way that goes straight to you. Like Warland, Shaw championed contemporary composers and arrangers. And a deceptively simple performance like this can warm the heart in mysterious ways.